The Thinkery, the new Austin Children’s Museum, creates innovative learning experiences that equip and inspire the next generation of creative problem solvers. It opened in December 2013 at its new location in the Mueller development, the Thinkery is Austin’s new home for “why” and “how”. It’s a place where science and families play side by side. 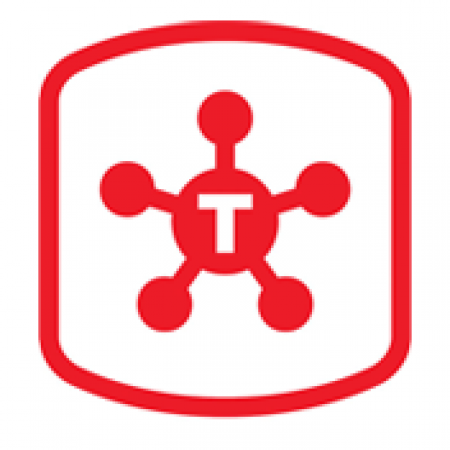 Founded in 1983 as a nonprofit organization, the Thinkery delivers its mission through a variety of exhibits, programs and outreach activities that focus on science, technology, engineering, art and math (STEAM). See the current calendar of events here. We are so lucky to have such an awesome children's museum in Austin! From their enormous train table, slide, toddler area, play kitchen, train station, wonderful story times and sing alongs, and always a wonderful main exhibit, there's always something for everyone! Parking can be a little tricky, but it is downtown! Get place, we love the baby bloomers class! I have been to Austin Children's Museum several times, usually during Baby Bloomers on Monday mornings when the museum is open to the 3 and under set. My kids always have a wonderful time. It's pretty crowded on Baby Bloomers days but the only time it's really noticeable is when everyone is in the lobby for sing-a-along time. Once everyone disperses into the museum, it's fine. The exhibits are always fun and engaging and the staff friendly. The toddler zone is nice for kids under 2. You don't have to worry about them getting trampled. A few of our favorites are the construction zone, kitchen, train station but there are so many areas to explore, that's just a few. We usually make a day of it and have lunch at nearby Jo's or another 2nd street restaurant. There is "stroller parking" inside the museum but unless you're planning on walking around afterward or have a long walk back to your car, I'd leave it. There is only so much space to accommodate them. If you do bring one, maybe try an umbrella stroller or something similar that you can fold up and tuck away. We recently decided to have a private gingerbread house party at the museum for my daughter's 2nd birthday. It was a Saturday afternoon and I was surprised that it wasn't very crowded. That was my first time to go outside of Baby Bloomers and it was really pleasant. The Sit and Span exhibit was going on, a 15 component physics exhibit. All the kids we were with, ages 2-10 enjoyed it. We were there for 2 hours and my kids did not want to leave. If you're planning on going a lot, I'd invest in the membership. They start at $75.00(for a family of 4) and get you some additional perks. Otherwise, you're looking at about $6.50 for adults and children 2 and older, children 12-23 months are $4.50 and under 12 months are free. Baby Bloomers admission is $2 members, $4 non-members. You can also take advantage of Community Night, every Wednesday, when admission is a suggested donation of $1 or on Sundays from 4-5pm when the museum is free. You should also plan on paying for parking. ACM does not own parking downtown but has a deal with 2 Amli/Standard parking garages for a discounted rate of ~$3 for members or ~$4 for non-members. Visit the Plan Your Visit portion of their website for more parking info. 1)If you're looking to visit the museum when it's less crowded, the museum recommends going in the afternoon or on TOUR FREE TUESDAYS. On the first Tuesday of every month , the museum school or group visit which limits the amount of visitors. 2)There are no lockers or areas to store personal belongings. 3)There is one small area in the museum where they allow snacks and drinks.